One of the biggest innovations in the diving industry in 2017 was the Paralenz Dive Camera. It emerged as a Kickstarter campaign in 2016 and has then since developed into the perfect action camera for divers. 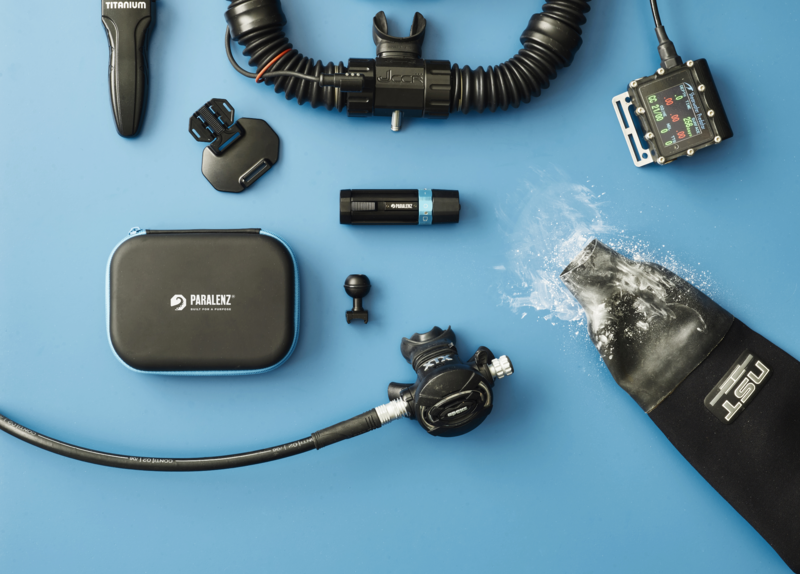 The news about the camera is starting to reach the furthest and deepest regions of the dive community and is creating quite a hype, but what is it exactly that makes this new action camera for divers so revolutionary? You would think that there were already enough action cameras on the market… Think again! This camera is developed specifically for scuba and freediving, it is the result of combining the knowledge of 250 testers from 38 countries. Though it can be used above water it is really under the surface that its features shine through. The same features described below is what truly sets this camera apart from anything else and shows that it is built for being underwater. A robust circular aluminum housing is the best solution for a high-pressure environment. It gives the camera the strength it needs to reach the unbeaten depth record and toll the conditions on a dive boat. In addition to that, the “torch” like shape, the positioning of the buttons, and the haptic feedback is also much more user-friendly compared to an old “upright” camera with a button on top and no feedback. The design and built on this camera alone will make most divers go in that direction. Another great thing about the Paralenz is that it has built-in sensors that give the option of adding a depth and temperature overlay in your videos. It also creates a data log file that can be exported into a database. The latter has proved to be immensely helpful in ocean research and conservation work in getting accurate documentation of the dives and recordings. 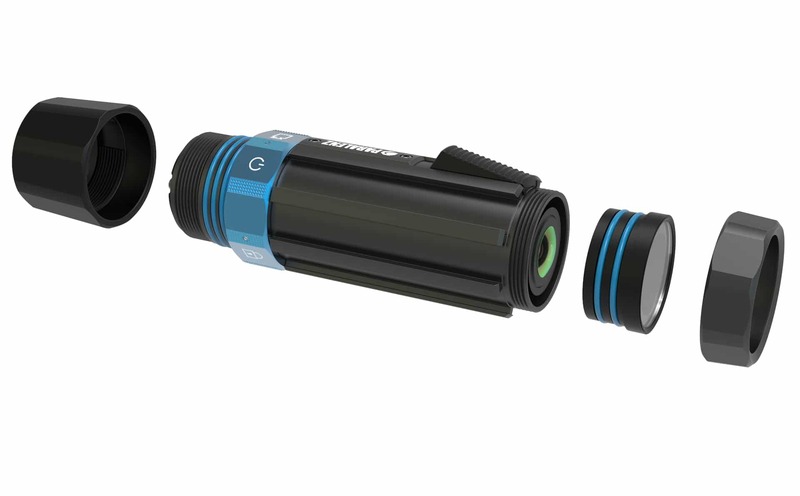 DCC™ is short for depth color correction and is one of the biggest innovations in diving for quite a while! It is simply incredible to watch the depth controlled color correction work its magic, gradually adding the dissipating colors to the footage along the descent. It does not give that annoying red hue at shallow depths as you get with the traditional red filters, and best of all you don’t need an additional filter to get true colors straight out of the camera! Since the entirety of this camera is developed for diving, the battery is, of course, no exemption. It shows great performance even on dives in colder climates and delivers an astounding +2 hrs of recording in 4K, and +3hrs in 1080P. It will almost make a full recharge in a one-hour surface interval which is then enough to last through a nice long dive. When back on the boat it would be nice to look through and share your footage with your friends straight away right? Paralenz made an app for that! 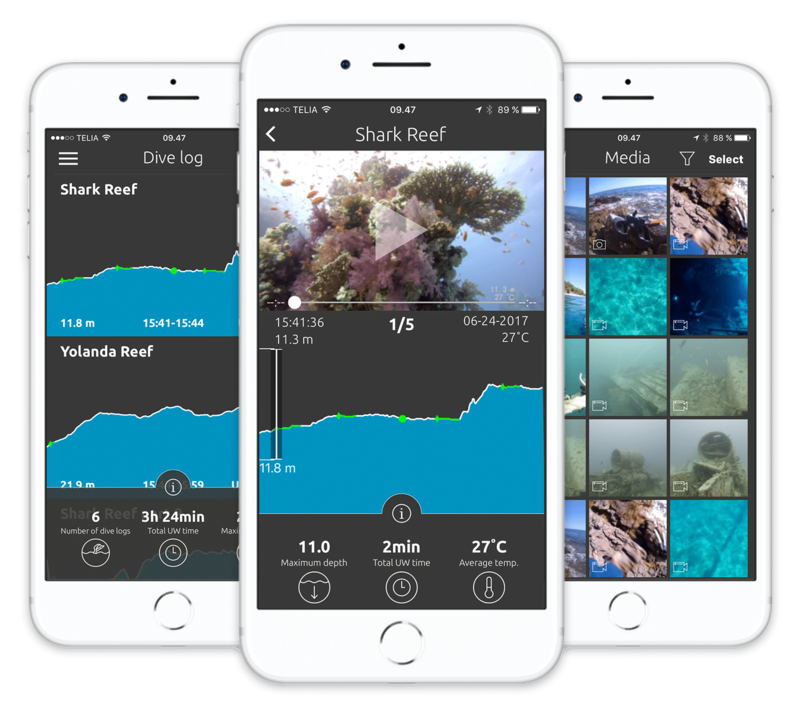 The Paralenz Dive App has a perfect interface for keeping a track over logged dives, to show how far into the dive and at what depths the footage was taken, and for sharing the best shots with friends and family. The Paralenz beats anything else out there when it comes to filming with action cameras under water. Filters and housings are now a thing of the past and the divers finally have an action camera of their own. 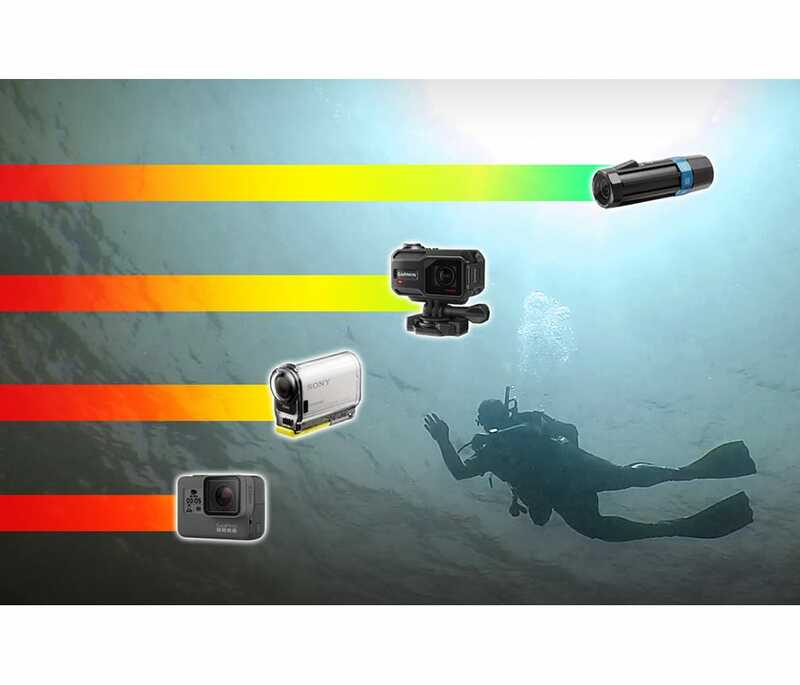 Add to that that the camera is developed by the dive community from the bottom up, and you will know why the Paralenz is the best underwater action camera for divers.